Car accidents are among the most common dangers on Halloween night. While Halloween is a night full of fun, with more than 40 million children dressed in their scary best out on the roads trick-or-treating, the real scare comes from National Highway Traffic Safety Administration’s (NHTSA) statistics on car accidents that take place on Halloween. Apart from other Halloween-related hazards that cause injuries, car accidents are the number one reason for fatal injuries caused on Halloween. Drunk drivers are a menace that haunt Halloween nights more frequently than one can imagine. According to the NHTSA, out of all fatalities caused on U.S. highways on Halloween 2015, about 52% are caused due to a drunk car or motorcycle driver with BAC of 0.8 or higher. Within the five year period of 2009 – 2013, out of the total 119 auto accident-related fatalities recorded, about 43% were caused due to drunk driving. In the year 2013 alone about 26% of all pedestrian deaths caused on Halloween night were caused due to drunk drivers. What makes the situation worse is the fact that most of the car accident related Halloween deaths involve children. Additionally, most car accidents on Halloween take place between 4:00 pm and 10:00 pm, a time when the setting sun reduces visibility and when most children are out on the road trick-or-treating. The above mentioned statistics do not account for death caused due to distracted driving – one of today’s fastest growing concern and cause of car accidents. Distractions caused by the use of smartphones, texting, snap-chatting, using social media apps, and listening to music while driving cause about as much devastation as drunk driving does. Maintain low speeds – Especially in residential areas, vehicle drivers should ensure they maintain a minimum speed and drive slowly, especially between 5:30 and 9:30 pm, a time when children are mostly out. Avoid drinking and driving – Those who plan to indulge in drinking during the holiday should not even consider getting behind the wheel. Instead, opt for a taxi or other driving service, or designate a driver who will not drink and can drive you home safely. Stay alert – Drivers should stay alert while driving their cars of Halloween and consciously avoid using distractions like cell phones while driving. 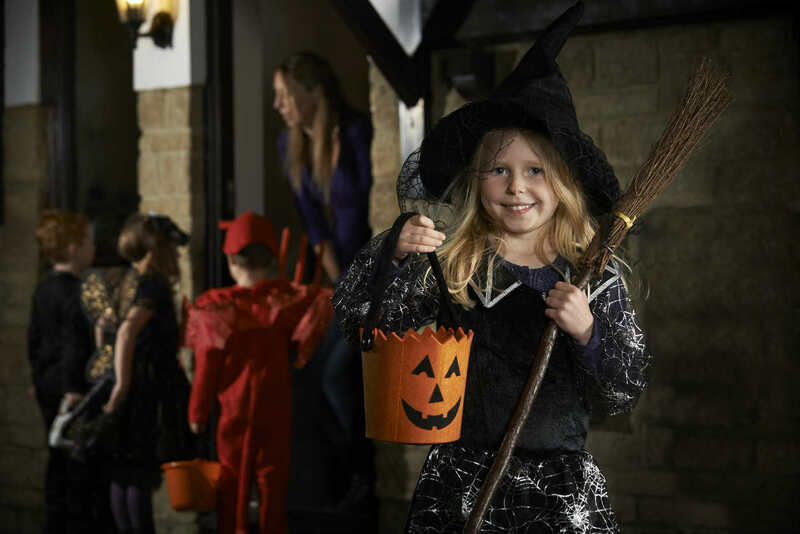 Educate children – Children heading out for Halloween should be taught the importance of road safety, and should be taught to stay on the side-walk and avoid walking on the roads meant for traffic. Plan an overnight – Those planning to celebrate Halloweens with alcohol should ensure that all their guests are in a state fit to drive. Additionally, they can help arrange a member to either drive party guests back home, or let them stay overnight. It is our hope that everyone has a fun and safe Halloween! It is important to remember that despite your best efforts, there are unfortunately many reckless drivers out on the roads. If you or a loved one are involved in an auto accident, get in touch with our legal team to learn more about your legal rights. Call The Hoffmann Law Firm, L.L.C. 24/7 at (314) 361-4242 for a FREE case evaluation.